How do I add a Facebook Like button to my pages? Click on "Content" on the top menu. Click onto "Widgets" from the left-hand menu. Select "Add Widget" next to the "Facebook Like". URL to Like - Select and enter a 'Custom URL' or choose 'Current Page'. Layout Style - Choose the 'Like' or 'Button Count' layout. Show Faces - Yes or No . Width - Choose the width of the widget. Button - Choose 'Like' or 'Recommend'. 6. 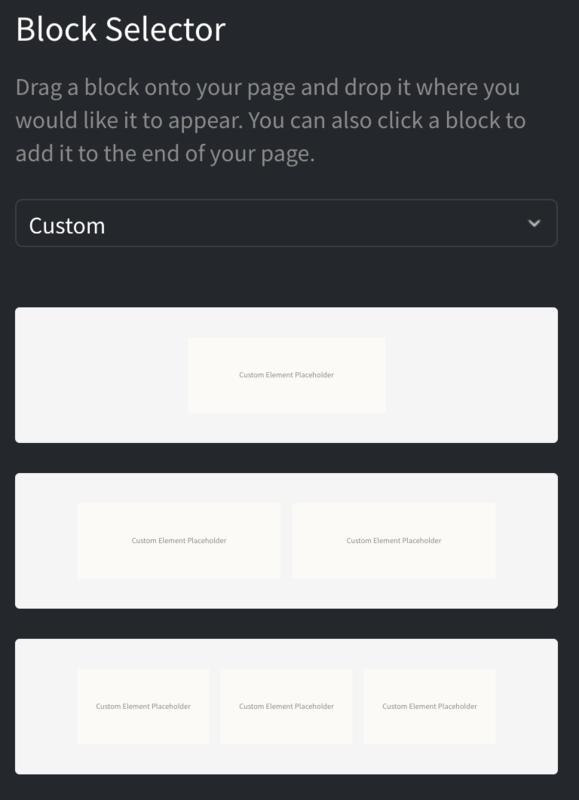 You can then drag and drop the Custom Element content block onto the desired place on the page. Once the Custom Element block has been added to the page, you can click the + icon and use the drop-down menu to select what content you would like to add to the page. You’ll see you can select content including Widgets, HTML Fragments and Custom Forms, as well as combinations of other blocks such as Buttons, Headers, Images, Videos, Maps and Text. A placeholder icon will be added to the page and if you click the Settings icon, you can specify exactly which widget or HTML fragment for example, that you would like to use. Click Done and then save your changes. A grey holding box will appear in the Editor and you will need to "Publish To Web" for the changes to take effect on your live site.